Summer is here, so this breakfast smoothie is all you need to feel refreshed, revitaliZed and in the summer swing. 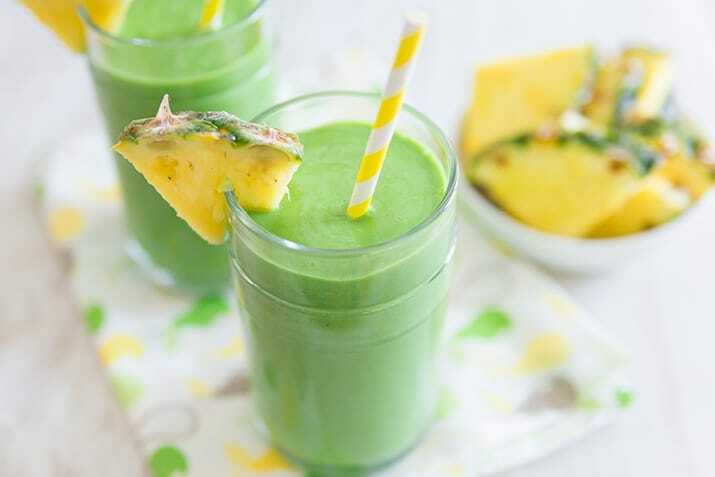 This green smoothie is bursting with goodness, and is an easy way to get your greens in, so slurp away this summer. 1/4-1/2 cup apple juice or almond milk. Place all the ingredients in a blender and whizz up until thick and creamy. Pour in a glass and enjoy.